2) Get Debian on something with USB ports. 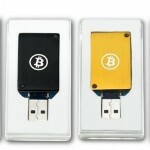 7) Plug your ASICMiner Block Erupter USB’s into the USB ports of your device. ← Dana 44 into a 19 spline Salisbury Jaguar IRS conversion parts. [2013-08-31 15:05:22] No devices detected! Looks like you needed some permissions to the USB devices? I’m having the same problem, how do you fix this? The software it suggests seems to be for Windows only not Ubuntu Debian? Well if you would like help gary, you may want to give some details. “not working” is pretty darn vague. Or perhaps you need automake? Please lmk if that works for you. Perfect and concise, so much better than many so called “tutorials” on the web. [2013-10-29 23:22:54] No devices detected! never mind. ust realised it was using an out of date one for some reason. Hey, Google friend! This worked for me. However, I’d love to be able to have cgminer autorun when I boot up Ubuntu. What’s the simplest way to make that happen? What do I do? How do I change permissions? I tried right clicking src and editing properties but it won’t change them. hey Jesse, you need to get root! start at the beginning with “sudo su” then continue. I’m trying to mine LTC using my GPU on my laptop (alienware m17) So whenever i boot cgminer 3.8.1 for windows 64 i keep getting the same error “ No devices detected!“ I have done everything possible! i have searched on forums and sites and nothing fixed my problem! Please if any one know PLEASE help me!! cgminer since 3.8.0 has no GPU mining since it is a waste of time so it has been removed. I have setup an Raspberry with a powered USB-hub. To the USB-hub I have connected a BFL Jalapeno and a block erupter. bfgminer finds the Jalapeno but not the block erupter. if I use the hub + miners on windows there is no problems. If I connect the block erupter directly to the raspberry it finds it. hey jseppeli, make sure you have the icarus driver enabled. Nice! Short and effective, thanks! Thanks for the simple install instructions. I installed it and yesterday it seems to work fine, but today my Antminer is continiously disconnected when I start CGminer. Tried everything possible, but nothing works. I installed it on a DreamPllug running on Debian Squeeze. Any suggestions? Thanks! [2014-02-06 23:24:15] Waiting for work to be available from pools. I’m a Linux noobie and keep hitting walls. I’ve successfully installed both cgminer and bfgminer and can start them up. I can’t seem to get them to recognize my Gekko Science Compac block erupters. I’m running Arch Linux on a RPi2, and have installed the Silabs USBtoUART CP210x drivers for Linux. I can’t seem to find instructions on how to configure the map the usb ports to virtual com ports. Can anyone help? Bob Patterson, DId you build the cgminer from git like this post describes?